Left ventricular non-compaction has been increasingly diagnosed in recent years. However, it is still debated whether non-compaction is a pathological condition or a physiological trait. In this meta-analysis and systematic review, we compare studies, which investigated these two different perspectives. Furthermore, we provide a comprehensive overview on the clinical outcome as well as genetic background of left ventricular non-compaction cardiomyopathy in adult patients. We retrieved PubMed/Medline literatures in English language from 2000 to 19/09/2018 on clinical outcome and genotype of patients with non-compaction. We summarized and extensively reviewed all studies that passed selection criteria and performed a meta-analysis on key phenotypic parameters. Altogether, 35 studies with 2271 non-compaction patients were included in our meta-analysis. The mean age at diagnosis was the mid of their fifth decade. Two-thirds of patients were male. Congenital heart diseases including atrial or ventricular septum defect or Ebstein anomaly were reported in 7% of patients. Twenty-four percent presented with family history of cardiomyopathy. The mean frequency of neuromuscular diseases was 5%. Heart rhythm abnormalities were reported frequently: conduction disease in 26%, supraventricular tachycardia in 17%, and sustained or non-sustained ventricular tachycardia in 18% of patients. Three important outcome measures were reported including systemic thromboembolic events with a mean frequency of 9%, heart transplantation with 4%, and adequate ICD therapy with 15%. Nine studies investigated the genetics of non-compaction cardiomyopathy. The most frequently mutated gene was TTN with a pooled frequency of 11%. The average frequency of MYH7 mutations was 9%, for MYBPC3 mutations 5%, and for CASQ2 and LDB3 3% each. TPM1, MIB1, ACTC1, and LMNA mutations had an average frequency of 2% each. Mutations in PLN, HCN4, TAZ, DTNA, TNNT2, and RBM20 were reported with a frequency of 1% each. 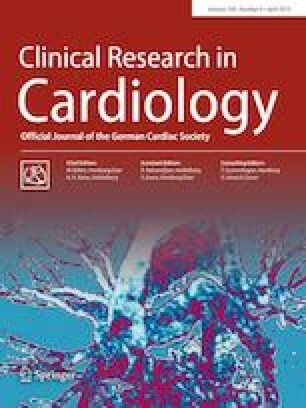 We also summarized the results of eight studies investigating the non-compaction in altogether 5327 athletes, pregnant women, patients with sickle cell disease, as well as individuals from population-based cohorts, in which the presence of left ventricular hypertrabeculation ranged from 1.3 to 37%. The summarized data indicate that non-compaction may lead to unfavorable outcome in different cardiomyopathy entities. The presence of key features in a multimodal diagnostic approach could distinguish between benign morphological trait and manifest cardiomyopathy. The online version of this article ( https://doi.org/10.1007/s00392-019-01465-3) contains supplementary material, which is available to authorized users.